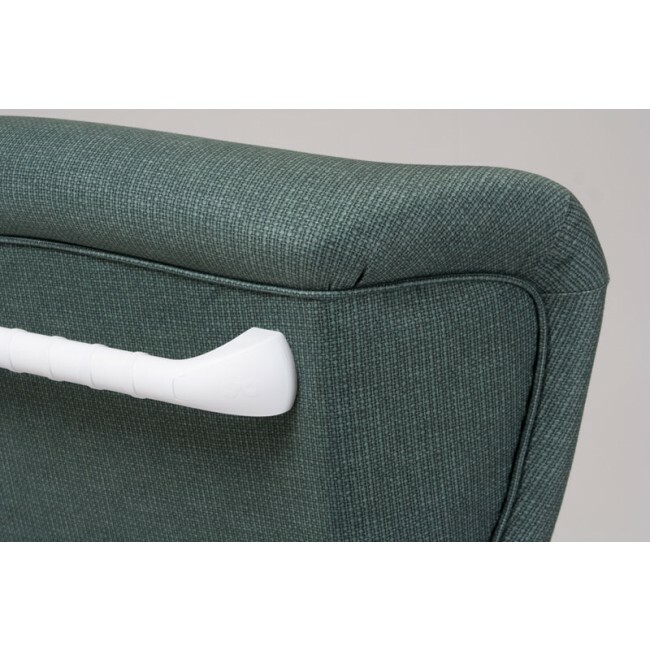 The Hanley chair's design incorporates a ‘tilt-in-space’ motion which is activated by easy to use controls located on the right arm. The chair is battery operated - no wires! On a full charge (overnight) the Hanley chair can execute 60/70 full cycles. A gentle alarm will sound when charging is required. The sequential movement smoothly and quietly adjusts the comfortable 'spoon' shaped backrest in tandem with seat cushion and extending leg rest ensuring the seat to back ratio remains even. 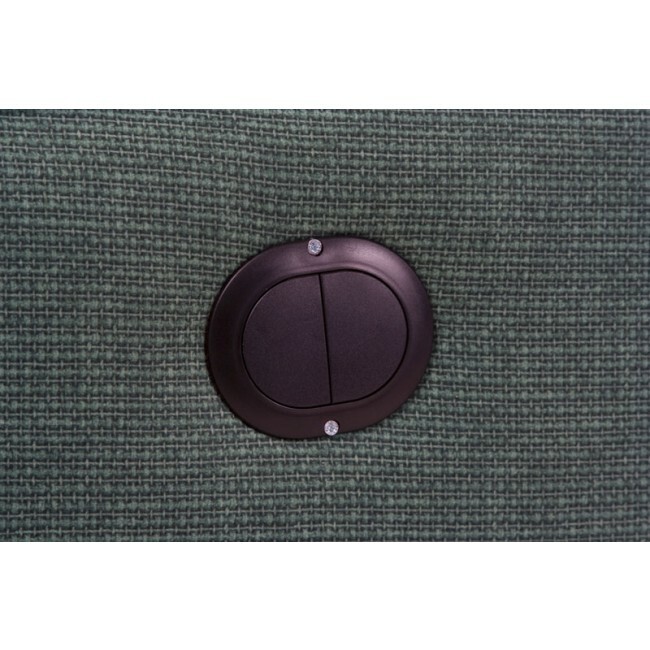 Padded arm rests and bolster panels provide comfort at a premium level. 4 total lock brakes for safe, secure parking. Wide ergonomic pushing handle for attendant use. Available in a wide variety of colour and fabric choices. 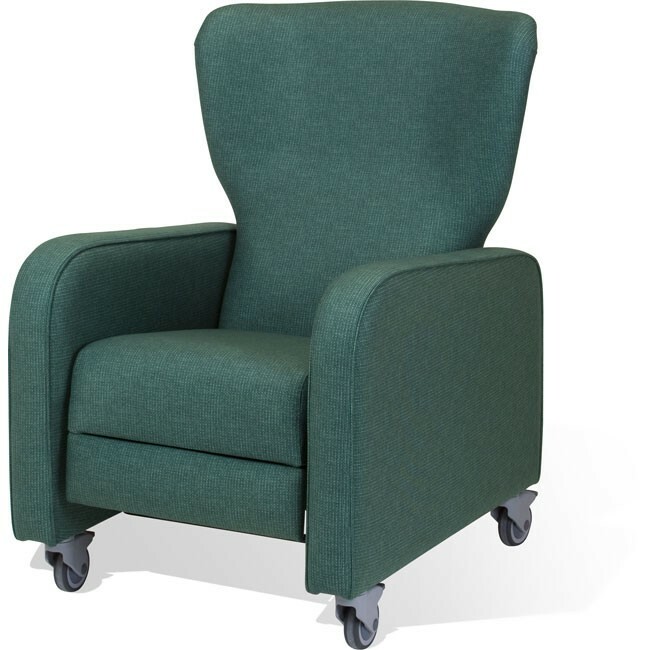 Please contact the Carestore on 065 689 0011 for more information including the various colour and fabric choices available on the Hanley Chair. *Please Note: This is not a portering chair and must never be used on rough, uneven, slippery or sloping surfaces. 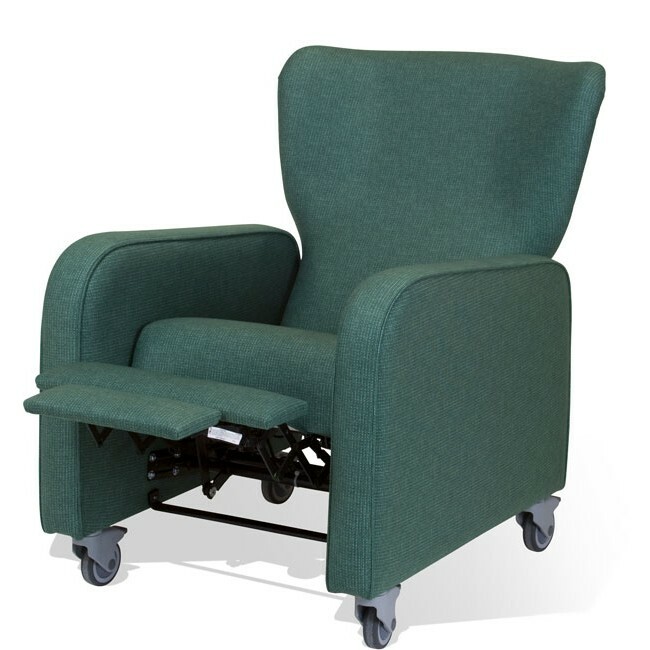 It is designed as a recliner which can be easily moved, when unoccupied, by staff to a patient and operated there — it is not for moving patients around. Please contact the Carestore on 065 689 0011 any questions you have on the Hanley Reclining Care Chair.